London is a city of small surprises; the market stalls, public gardens, street music, gallery openings and cultural festivals that make it an extraordinary place to live and visit. These things are made by Londoners. They are extraordinary for one reason – the diversity of London’s communities. 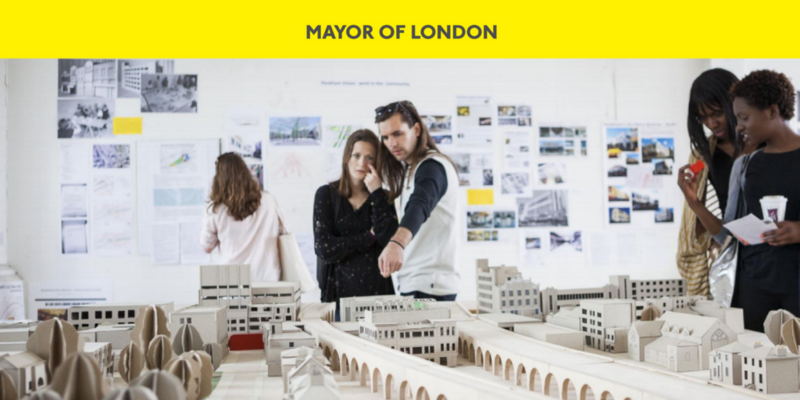 Discover how communities can benefit long-term from engaging with their fellow residents and uniting behind a common cause through a series of case studies that show the range of projects that can be achieved and the diversity of Londoners behind their success. Through their stories, we want to inspire all Londoners to get involved and become civic leaders. Follow in their footsteps, by starting a project where you live and exploring crowdfunding as a positive tool for building a stronger community. The case studies in this report all started as ideas in the minds of people just like you. They’ve succeeded because of their dedication to the project, commitment towards crowdfunding and enthusiasm. With a bit of help from City Hall, they have all embarked on exciting and rewarding journeys. Many continue to this day. All the stories here testify to this hard work, determination and a wealth of community spirit. We’re incredibly proud of each and every one of them. We couldn’t have produced this booklet and written these stories, without being welcomed by our community projects. Groups proudly showed us around areas they’d helped to change, sharing their experiences and the results of their hard work. Spending time with project participants on site and in their local communities helped us better understand the value of these projects to their local areas. It also helped us see the impact projects have on organisers and those who benefit from what they do. You’ll see at the end we’ve included some ‘top tips’ to help you get started on your project. Each is drawn from members of groups who’ve taken part in the programme so far – our first civic pioneers! Who better to give you advice to help you spring your idea into action? Explore the full booklet below. If you have an idea which will make your local area special, celebrate its character and bring people together then the Mayor could help you make it happen! 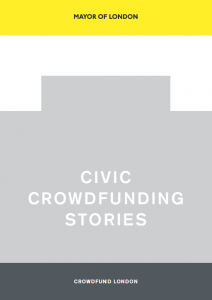 Learn more about Crowdfund London here and then get started by uploading your idea onto Spacehive here. From teaching in the Tanzanian mountains to the digital universe of Spacehive, Aaron has stopped off in a few places along the way. After receiving an MA in Publishing from Oxford Brookes University, she worked for big internationals including Oxford University Press and the International Labour Organization, small but interesting types including Pambazuka Press and Internet Retailing Magazine before heading up the award-winning eSeller.net. Looking for her next big adventure she joined Spacehive as their Content Marketing Manager. Here she works the words whether describing the awesome potential of a civic crowdfunded future or outlining the many dazzling features of our grant-making software. She gets to meet the project creators and share their stories as well as working with our partners to ensure they have the material they need to make impact. Outside of work she mentors with The Girls’ Network, solves mysteries and once made jam from the blackberries in her garden of which she is inordinately proud.